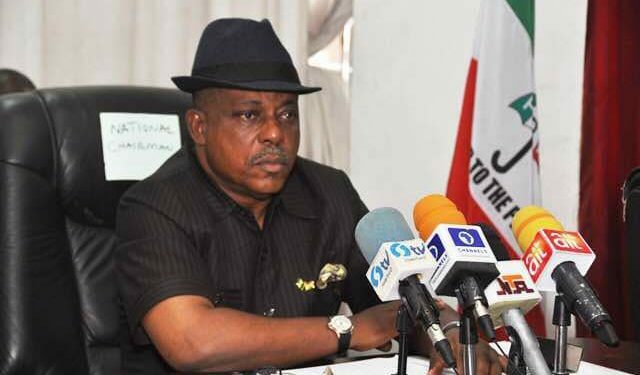 Opposition Peoples Democratic Party, PDP, has hailed Monday’s verdict of the Supreme Court which struck out the ill-conceived suit seeking the nullification of the governorship, National Assembly and State Assembly elections which held in the state. According to a statement by its spokesman, Kola Ologbondiyan on Tuesday, "The decision of the Supreme Court in striking out the All Progressives Congress, APC’s attempts to reopen the issue of its already nullified primaries in Rivers state has reinforced the confidence Nigerians repose in it to protect our hard-earned democracy." The statement continued: "This defeated attempt at abuse of court process has further exposed the APC as a purveyor of false claims and a party that has no respect for democratic process, the rule of law and the will of the people. "The APC has been deploying all manners of shenanigans to subvert the will of the people of Rivers state for which they are willing to cause a constitutional crisis in Rivers state, not minding the consequences. "The PDP counsels the APC and its leaders to accept the will of the people of Rivers state and end their desperation to take over control of the state. "The APC leaders should also stop their boasting as if they own the Supreme Court, as well as their threats to judges, that anybody who fails to do their bidding will be given what they now call the "Onnoghen" treatment. "Furthermore, the PDP charges the APC and its leaders to note that they cannot continue to suppress Nigerians, as the Presidential mandate, which they stole from the people’s candidate, Atiku Abubakar, will soon be retrieved at the tribunal."